As one of the fastest, most cost-effective and reliable dot matrix print mechanisms available, the MP500 series incorporates black mark and paper end sensors, and integrated tear bar, and adjustable paper widths. The MP500 series combines the latest technology in logic seeking printing mechanisms with its ultra-efficient compact deisgn to achieve the fast print speed of over 4 lines per second. 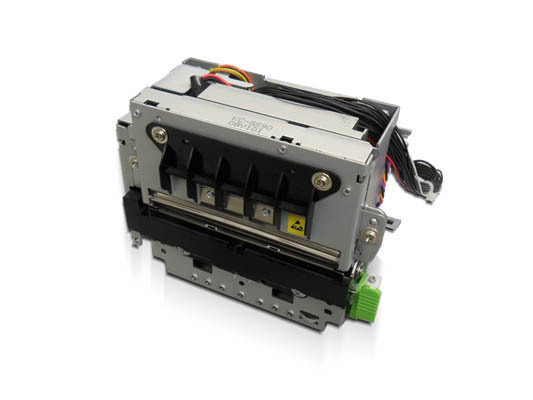 The BD500 control board compliments the MP500 printer mechanism. Using the Star Micronics control board simplifies the integration of the MP500 for rapid application development. The MP500 series targets applications such as credit authorization terminals, data terminals, test equipment, parking and toll collection, and gaming devices. However, with its performance and adaptability, the MP500 series can be used in a wide variety of applications.